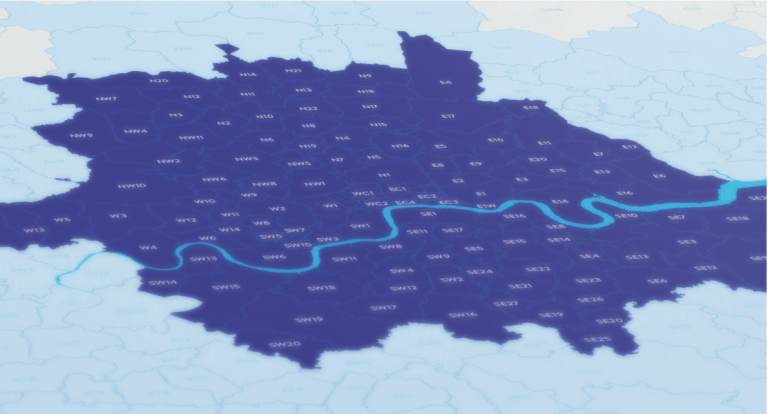 No longer limited to just kitchens and bathrooms, tiles are commonly used as a high-end floor covering to bring a modern, contemporary and luxurious finish to homes and outdoor spaces throughout London. 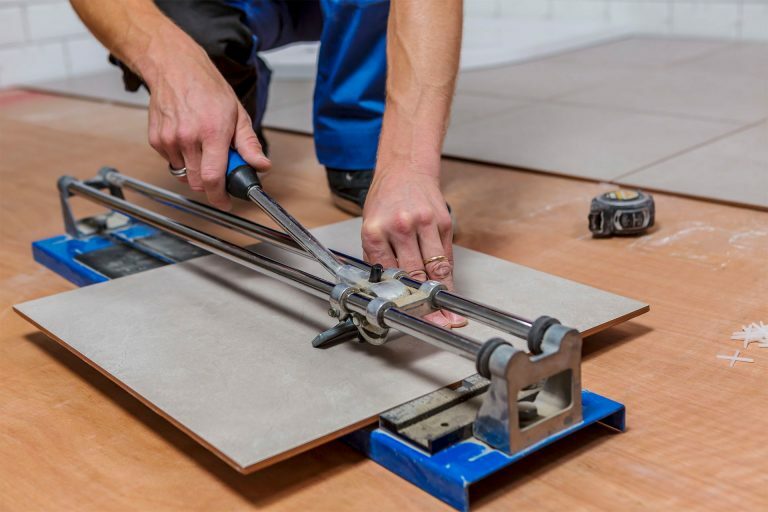 Our experienced tilers can be booked for any type of tiling work. They’re happy giving their advice and recommendations during the planning stage. Call our team today. 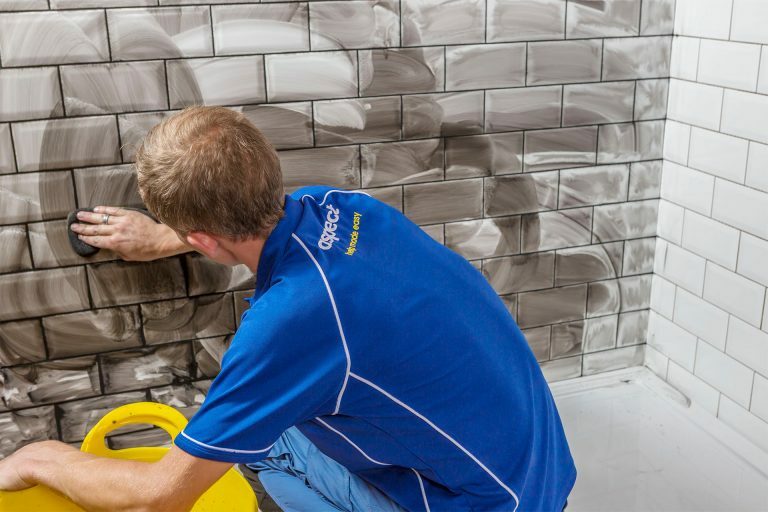 Whether it’s tiling a wet room with mosaics, a kitchen with contemporary wall tiles, or a living space with large format, polished, floor tiles, their professional finish will leave you feeling happy for years to come. 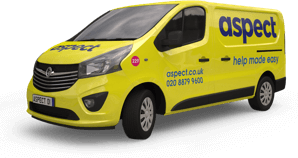 When you book an Aspect tiler you can be sure of getting the professional help you’re looking for. If you have a cracked or broken tile in your property that needs fixing, we can help. 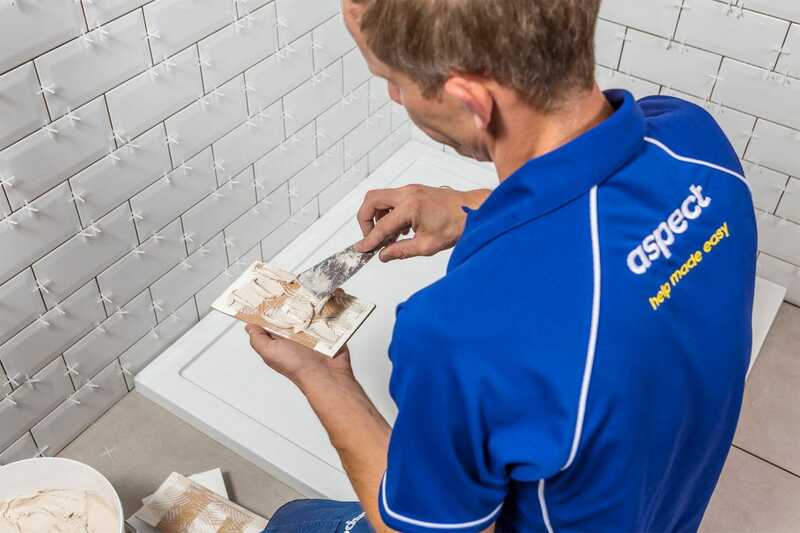 Our tiling experts can help remove damaged tiles before preparing a clean base surface by removing the existing tile adhesive. They can then fit replacement tiles so they sit flush with the surrounding tiles. By using quick drying adhesive they’ll be able to grout around the new tiles too. Our tiling professionals are experienced at laying a wide range of tiles. They’re equipped with all the necessary tools to ensure every cut is clean. They’ll try to be as economical as possible with the total number of tiles needed. 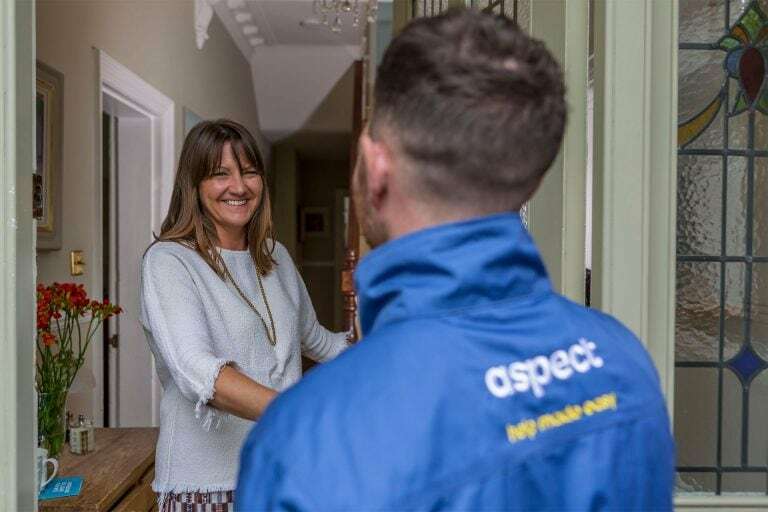 Every tiler at Aspect is meticulous when it comes to measuring the space they’re tiling. Making allowances for walls that aren’t completely straight, and floors that are uneven, is something done out of habit and plenty of experience. Before placing the first tile they’ll accurately measure the wall or floor area being tiled. Their aim is to leave consistent and good size cuts around the edges. This means multiplying tile dimensions and adding precise joint spaces between tiles. Tile coverings are never 100% waterproof. Wherever water flows over tiles and pools, moisture can gradually seep through joints that have been grouted. It’s really important when installing we rooms and showers to prevent moisture from reaching the building fabric where it can cause damp and structural damage. Wet rooms must be correctly ‘tanked’ before they are tiled. A variety of ‘tanking’ products are available to buy. 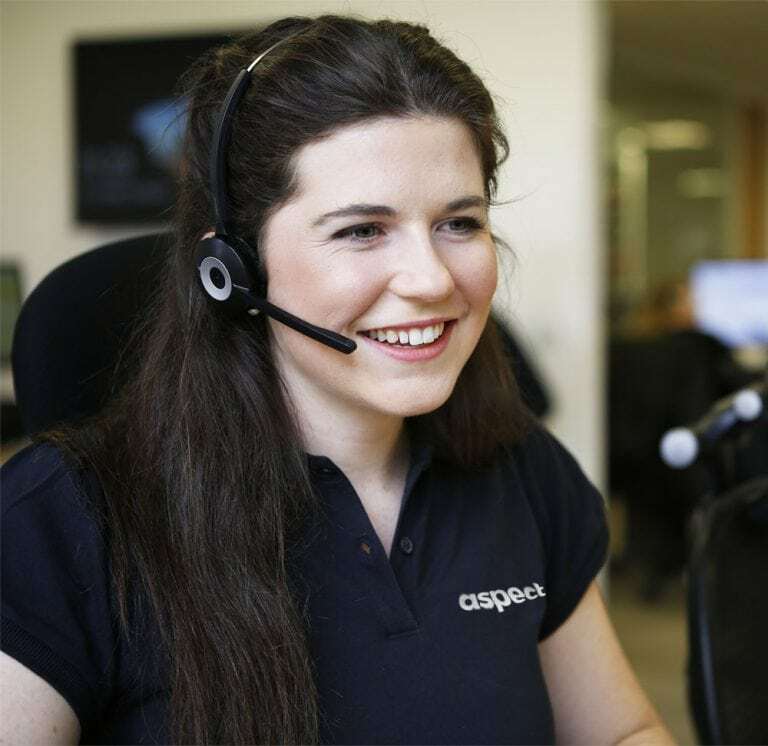 Our tilers can help with any questions you have about tanking. For example, where it needed and which products are recommended.